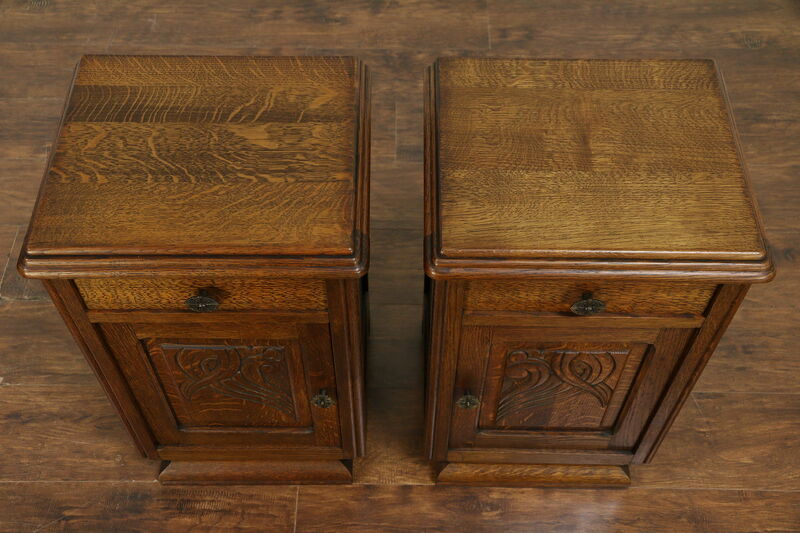 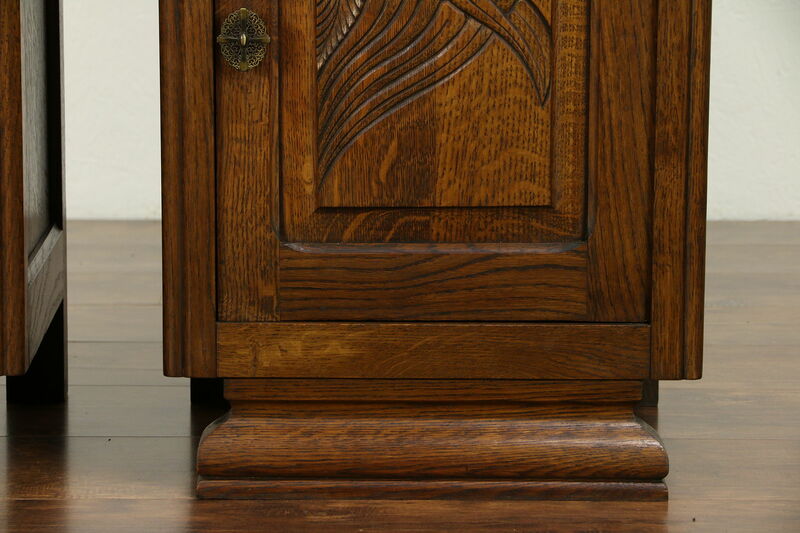 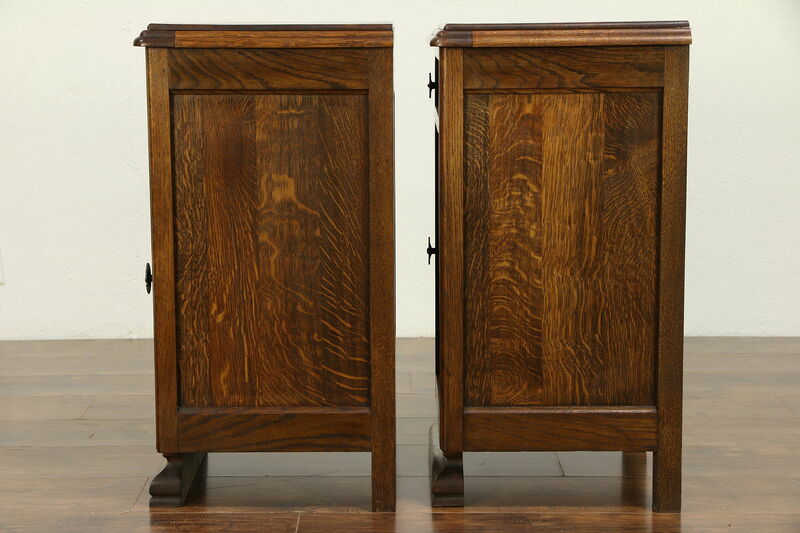 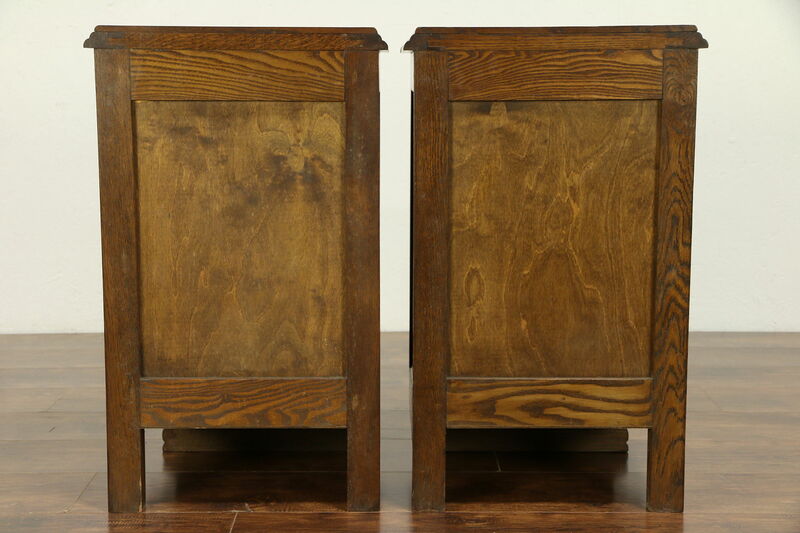 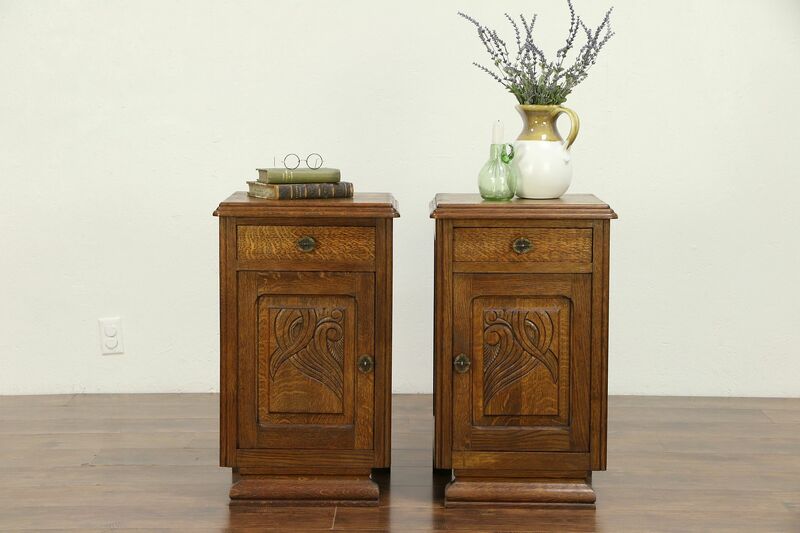 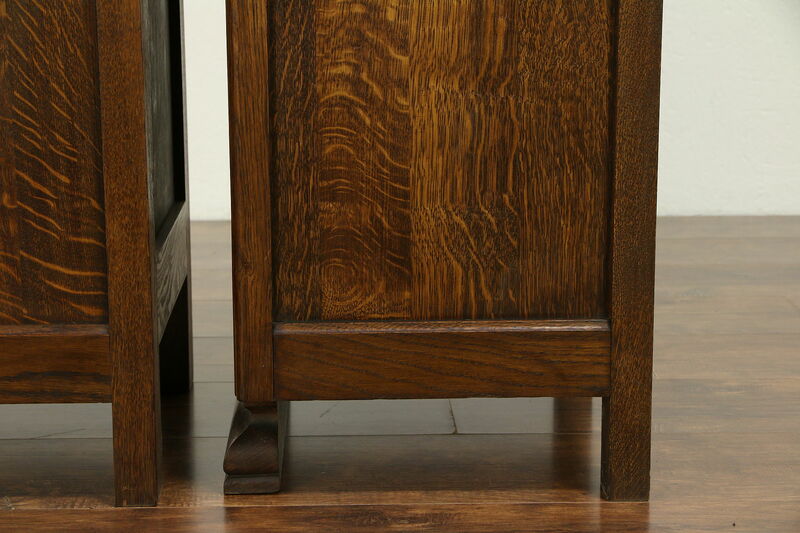 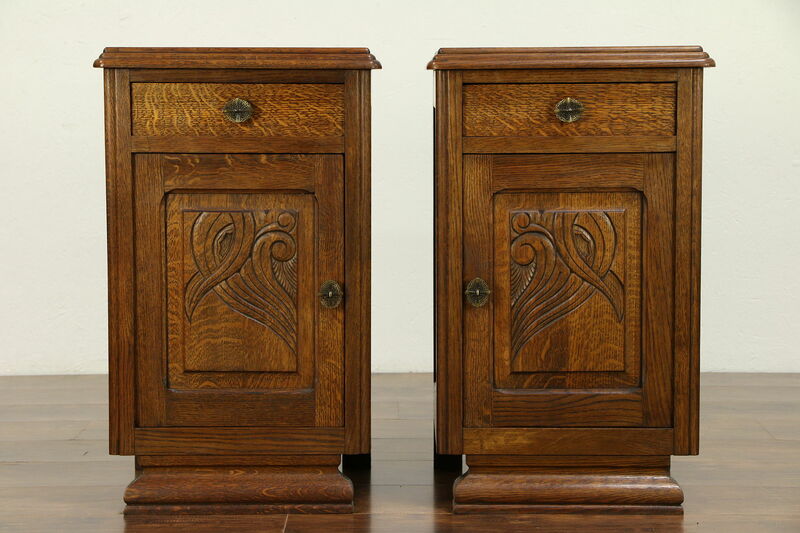 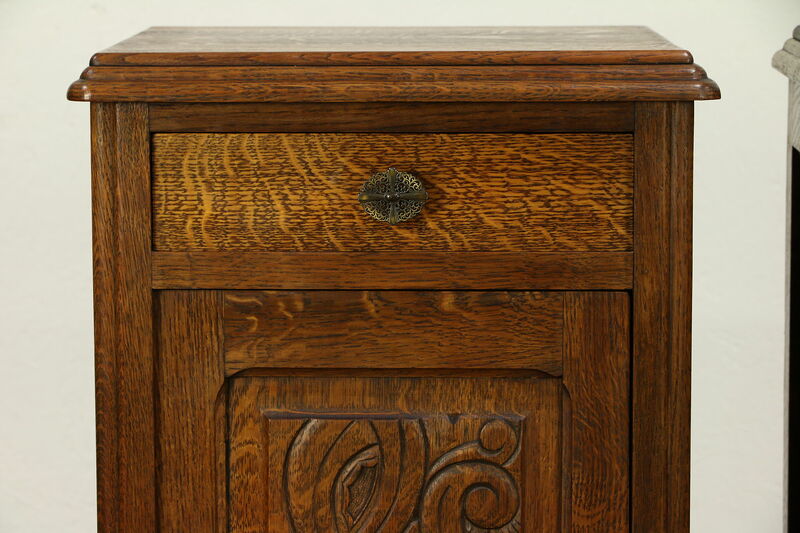 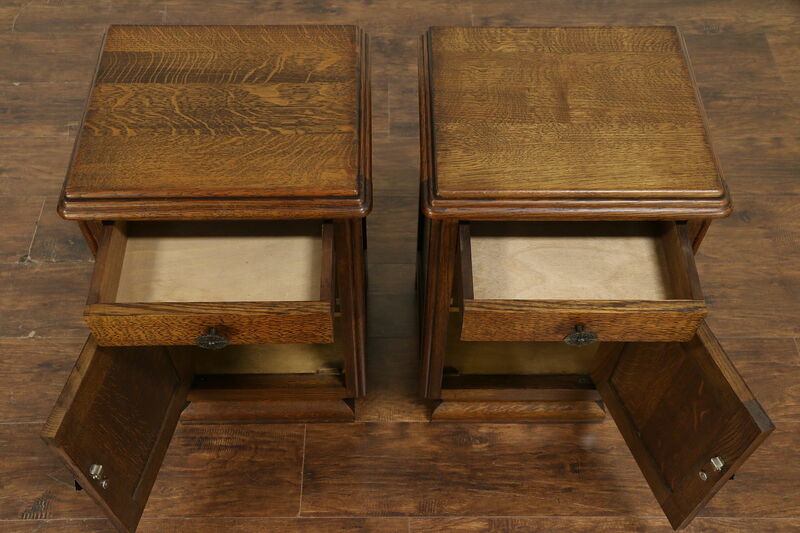 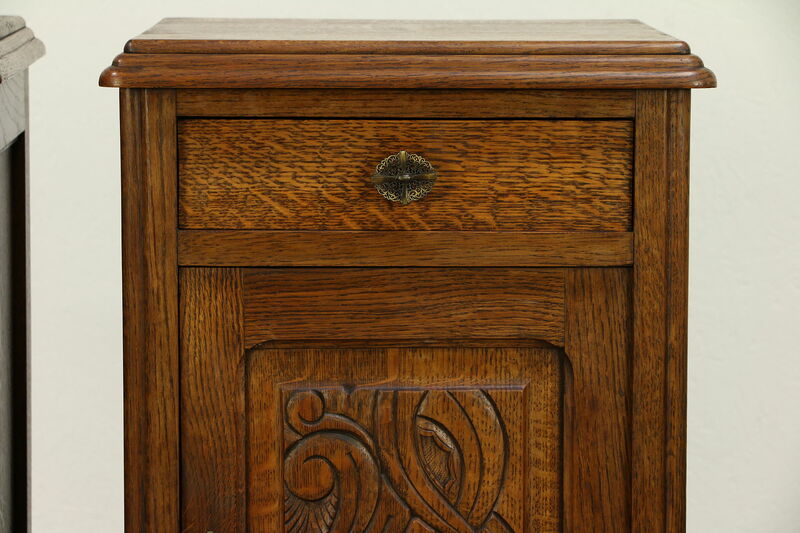 A French pair of oak nightstands have hand carved raised panel doors, and date from about 1925 during the Art Deco period. 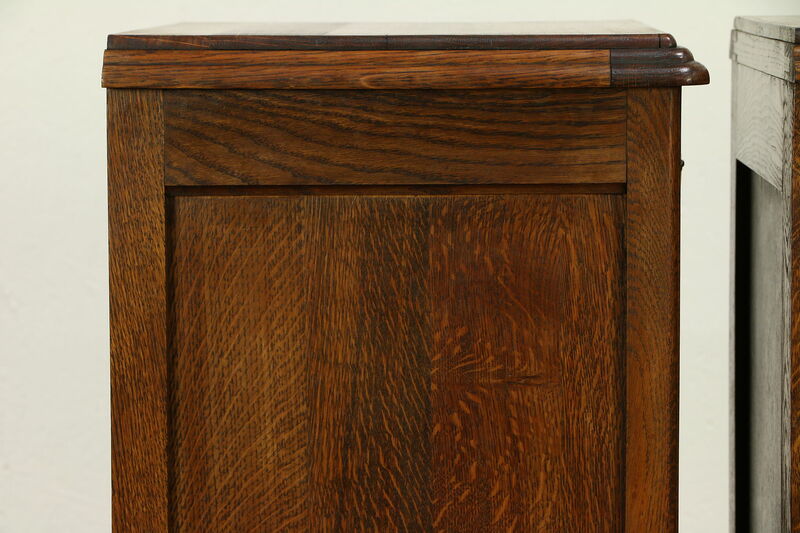 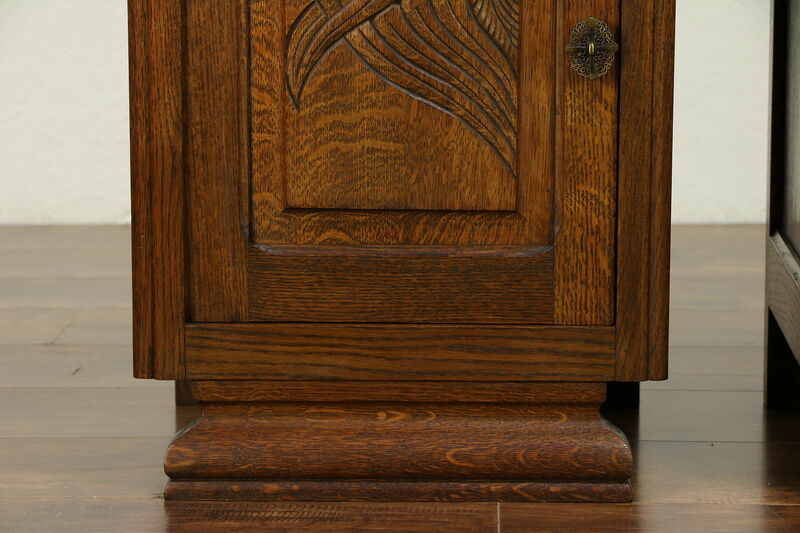 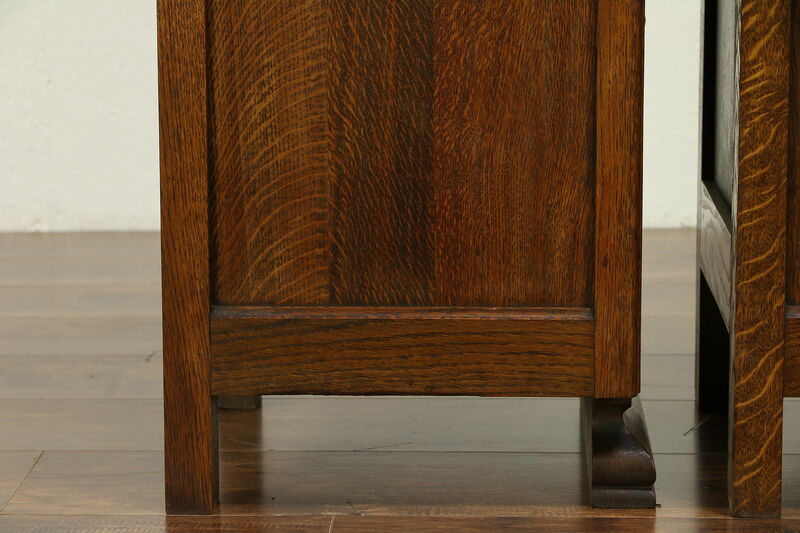 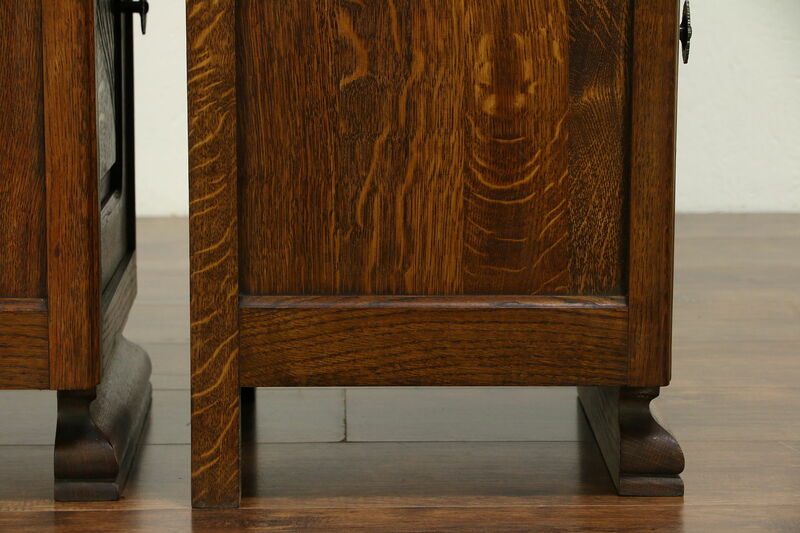 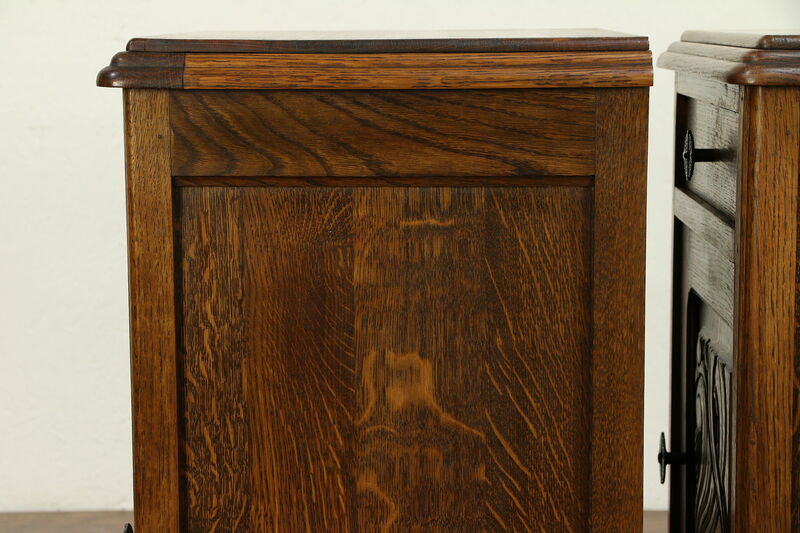 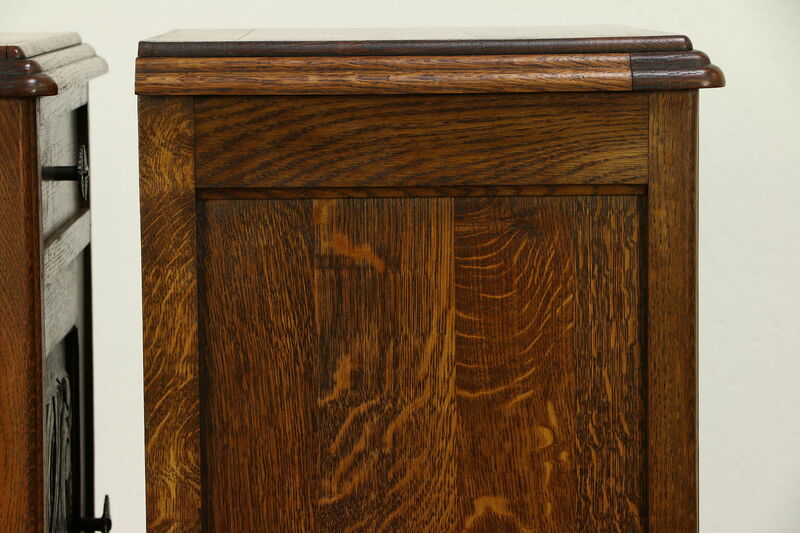 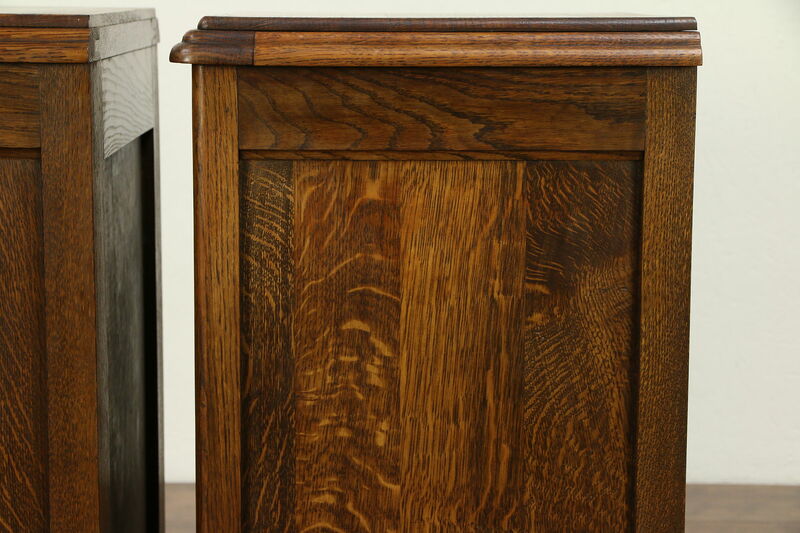 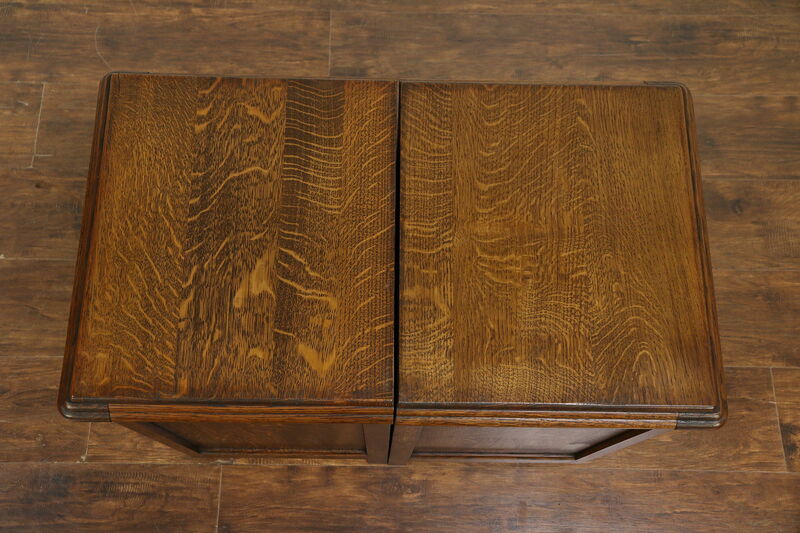 The original finish is very well preserved on richly figured solid oak, and has been waxed and buffed. 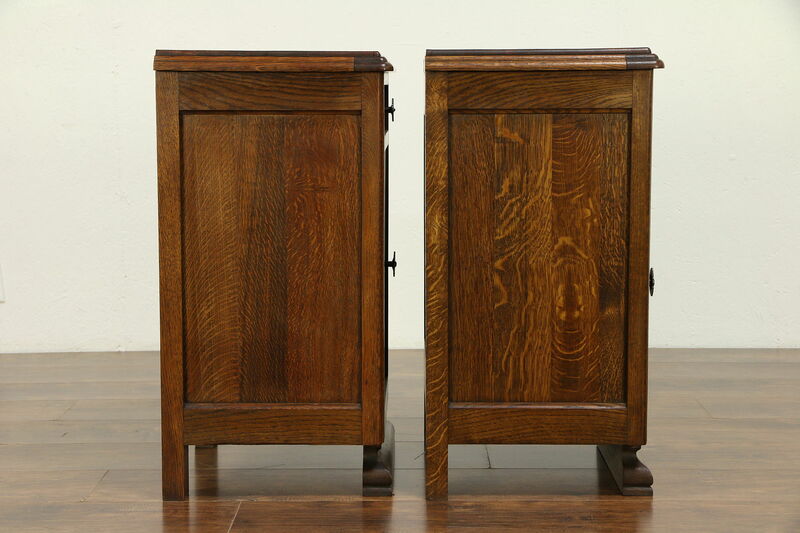 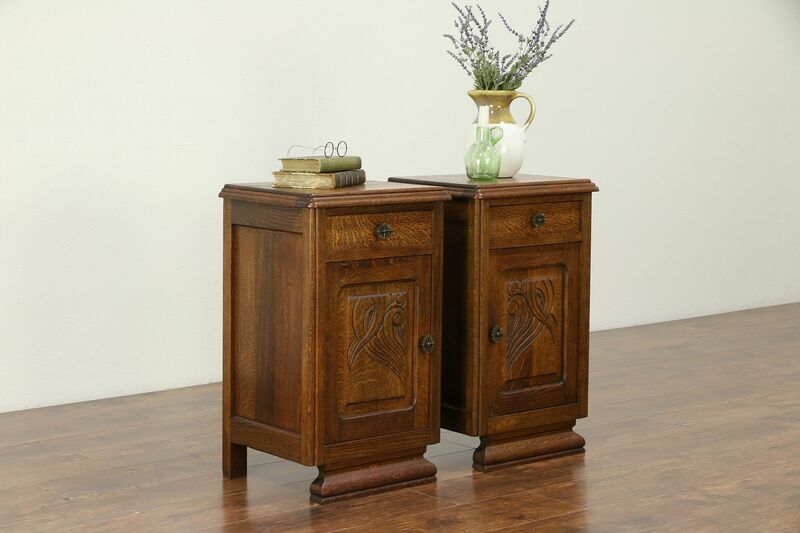 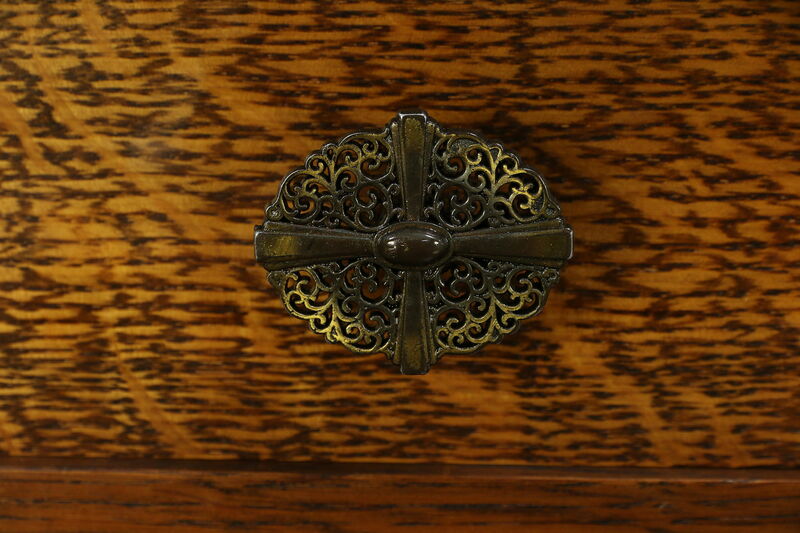 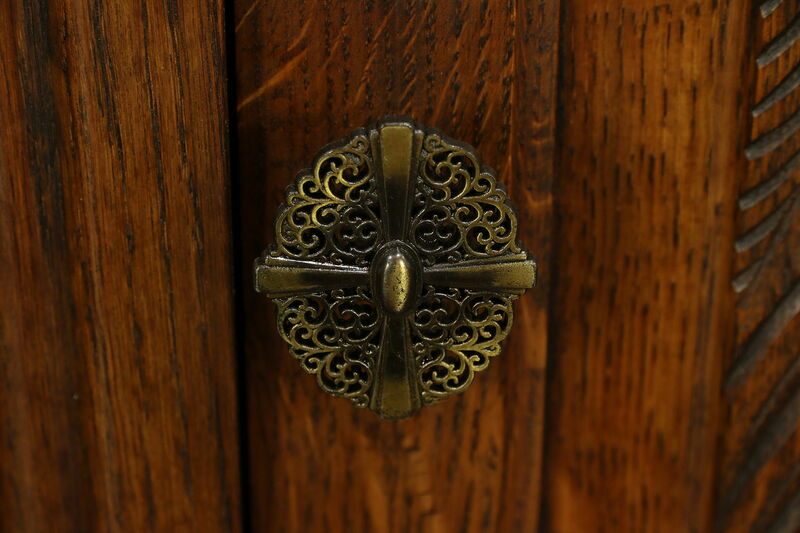 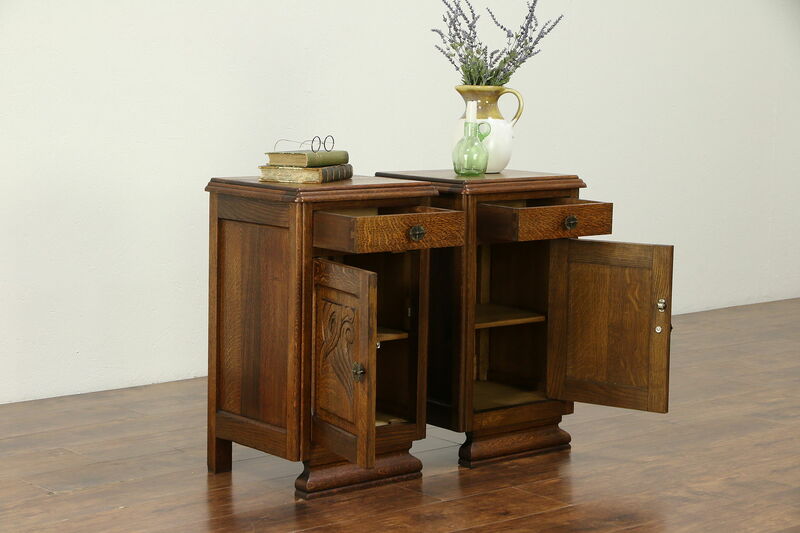 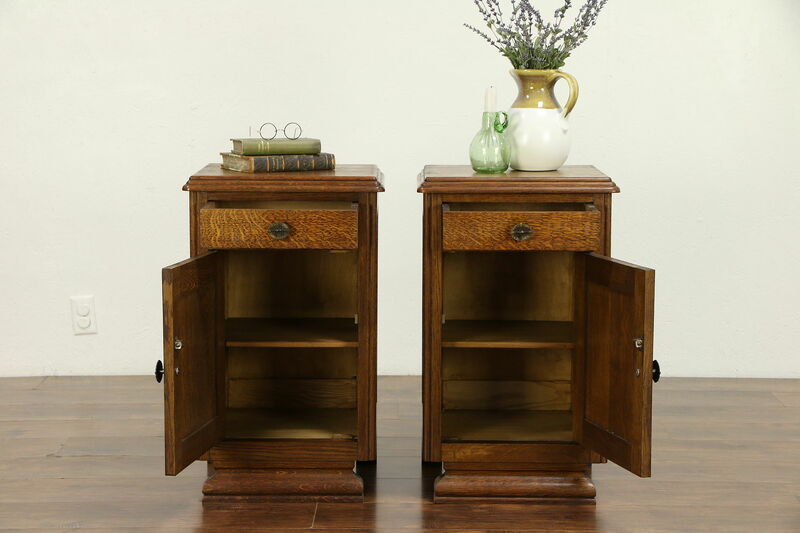 A true right and left pair, this antique furniture has original hardware. 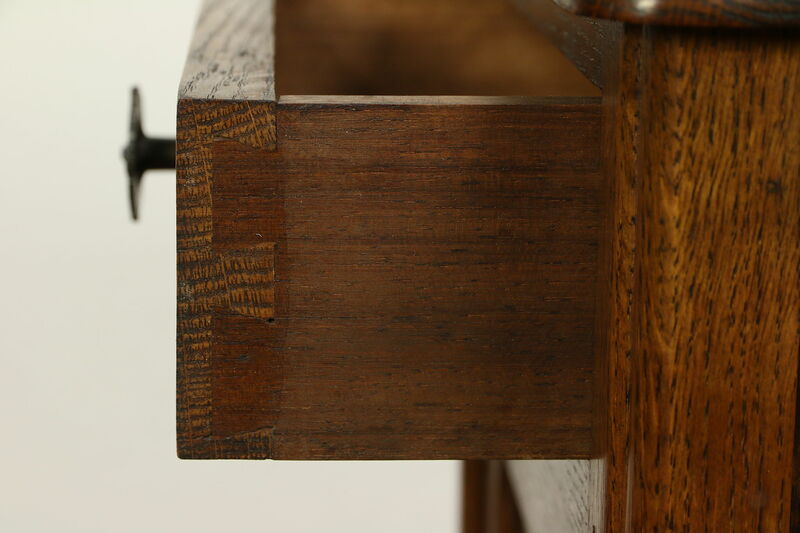 Drawers have solid mahogany sides with dovetail joints. 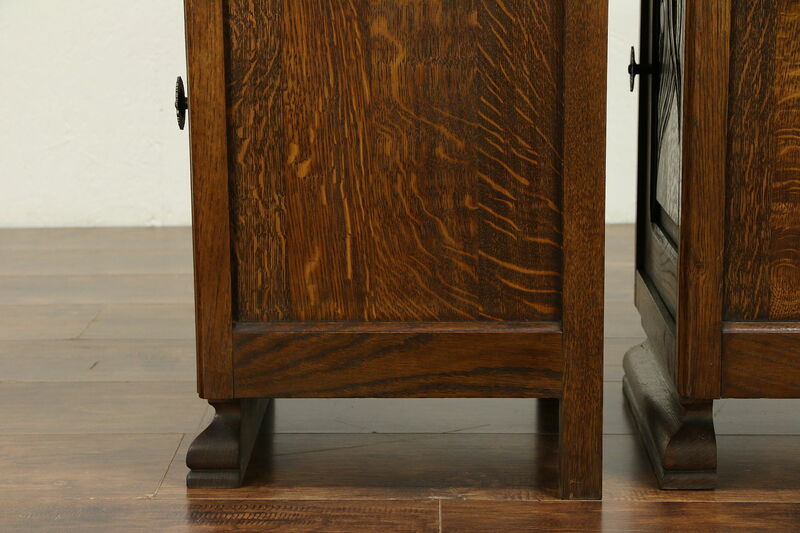 Measurements are 17" wide, 14 1/2" deep and 28" tall.